Vineyards situation : The commune of Auxey Duresses is situated in the centre of the Côte de Beaune between Monthélie to the North and Meursault to the South.The production is partly red and partly white wines. Characteristics : The soils of the commune are made up of marl and chalk for the area producing white wines and clay and chalk for the red wine areas. 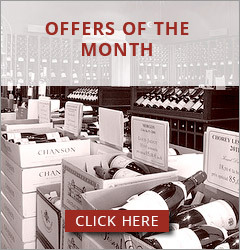 Wine making : This wine is vinified in tanks for 3-4 weeks and is then aged in oak barrels for 10 months before bottling. 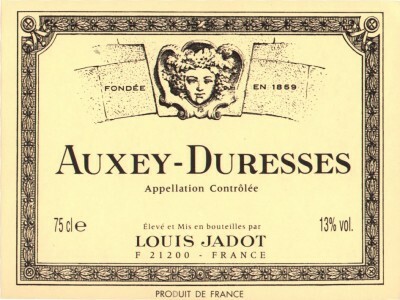 Winemaker's comments / Gastronomy : The red Auxey Duresses has very fine aromas of red fruits (blackberries,strawberries) acquiring animal aromas when aged. The wine is very soft with good tannins.This wine matches roasted or grilled meat when young ; with meat in sauces ; with game and cheese when the wine has been aged. Preservation : Auxey Duresses can be enjoyed when young but it is perfectly capable of ageing for 10 years or more.